LinkedIn knows how to put on a show, and this year they didn’t disappoint at its annual Talent Connect Conference in Anaheim, California. The headliner this morning was CEO Jeff Weiner and the announcement from Sarah Beth Anders that LinkedIn is building a new applicant tracking system (ATS), set to launch in the middle of 2019. Dubbed Talent Hub, LinkedIn’s ATS puts the entire candidate journey, from sourcing to hiring, in its user’s hands with an efficient design and seamless experience. Talent Hub is a continued initiative from LinkedIn to help better serve their customers to their ultimate goal of getting more hires. I had a chance to sit down with LinkedIn’s Group Product Manager Dan Reid to get a closer look. One of the fascinating aspects of Talent Hub is the reverse engineering approach LinkedIn took to construct its ATS. Generally, most applicant tracking systems aren’t built around search. This isn’t the case with Talent Hub. With Talent Hub, your pipeline already exists. From the initiation of your project, as Talent Hub refers to all “jobs” created within it, you are taken on a journey throughout your search. In the inception, it starts with a brief intake featuring only the job title, desired location, and skill level. After you input these fields, you will immediately see insights and a candidate funnel as to how many candidates on LinkedIn are available that match your project. You can add further project details, such as the job description, desired headcount, assigned cost center, ideal hire date, and you can add or appoint team members and recruiters. Talent Hub is an extremely customizable product, which allows you to tweak your sourcing strategy throughout the project phase with the ability to look at skills, years of experience, and a particular degree. 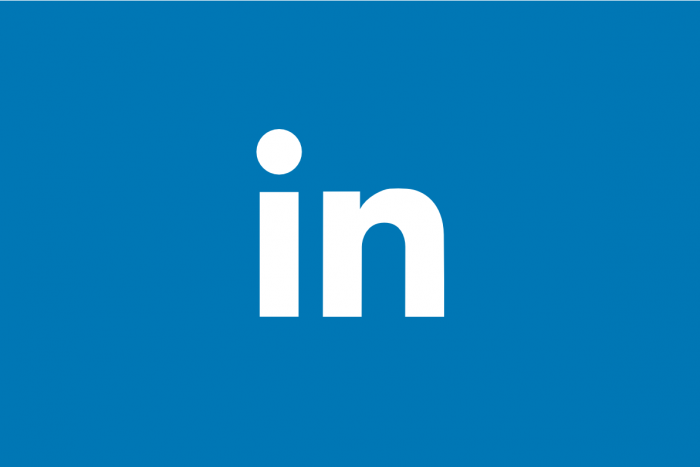 Once the standard information has been imported, you have the option to automatically post the project, or job, to LinkedIn for free or add it to your job slot package for better identification and positioning. As soon as the position is live, you are instantly taken to view search results. Naturally, this was my favorite part, and a sourcing dream come true. Long gone are the days of Anti-Talent Searching (the old moniker for ATS). I can’t recall a time when any sourcer or recruiter has ever uploaded a requisition into their ATS and has had immediate access to a full pipeline of qualified candidates. This is only the beginning. LinkedIn has done a phenomenal job of ranking candidates in its search results. Your search results within Talent Hub will feature your silver medalist candidates or candidates that have previously applied to your company, candidates that are currently in process with your company and also a newly launched algorithm that will feature more of a gender diverse slate of candidates (details below). Candidates who are also open to new opportunities will be featured towards the top of your search results. Talent Hub isn’t limited to candidates only on LinkedIn. It functions as an ATS, so you will have the ability to import candidates from outside of LinkedIn and CSV files. Your search will operate like LinkedIn Recruiter if you have access, if not you can still use the ATS, but your search and insights will be restricted. As soon as candidates have been identified, you can move them into different customizable stages of the hiring process and automatically schedule separate interviews. LinkedIn can sync with your calendar to show interview availabilities and will integrate with Skype for free calls. Messaging will also happen outside of LinkedIn. You will have the option to message candidates through email once they are an applicant. Customizable reports can also be run on Talent Hub to show comprehensive metrics and reporting options. In the future, LinkedIn will be adding more talent insights to Talent Hub, machine learning, search suggestions, and better relevancy in search results. LinkedIn also announced that it is adding diversity insights to its users of LinkedIn Recruiter. Diversity and inclusion have been a priority for LinkedIn and many of its customers. Diversity has also been a huge topic and theme in this year’s Talent Connect conference. I had the opportunity to sit down with LinkedIn’s Head of Jobs and Diversity Group Product Manager Monica Lewis to learn more. LinkedIn has now tweaked its search algorithm to reflect a gender diverse talent pool better. When you now search on LinkedIn in Recruiter, gender diverse candidates will be driven to the top of your search results. This wasn’t an easy task for LinkedIn as not every member has self-identified its gender. LinkedIn isn’t making any assumptions either. Candidates that aren’t self-identified are assigned a gender based on their name and pronouns used on their profile. If there is uncertainty, the gender isn’t accredited, and members will still be featured equally in the search results. What’s more impressive is that diversity insights will highlight statistics on how your company is performing across different functions within your organization and how it compares to similar companies or competitors across different geographical areas. LinkedIn will also be adding free diversity courses within on its LinkedIn Learning platform. As of today, all users of LinkedIn Recruiter will have access to diversity insights in the United States, with a rollout globally soon. Below is the release from LinkedIn on its diversity insights. • Within the new Talent Insights product, companies can now see the visibility of workforce gender representation to assess their gender breakdown and identify how they can tap into a more representative talent pool. • In LinkedIn Recruiter, we have also made changes so that when you search for a talent pool, representative results are reflected. This means, if there are 6500 engineers (40% women, 60% men), the recruiter will see 40% of women in each page of the search results to more fairly represent the available pool. New reports and insights in LinkedIn Recruiter also show you how your jobs and InMail are performing from a gender lens. • Finally, we’ve also released new courses on LinkedIn Learning to help hiring to hire managers and leaders tackle unconscious bias. LinkedIn also announced this morning that they are partnering with Oracle to provide new recruiting and learning experiences to customers on Oracle HCM Cloud and Taleo Enterprise Edition. Oracle Recruiting Cloud and Taleo Enterprise Edition will integrate with LinkedIn as apart of its Recruiter Systems Connect. With this integration, LinkedIn Recruiter seat holders will soon be able to source passive candidates from within Oracle systems via Recommended Matches, an alliance that recommends relevant candidates for open job requisitions, and through an embedded LinkedIn search experience. According to LinkedIn, it will also integrate LinkedIn Learning with Oracle Learning Cloud to minimize the juggling act of multiple platforms, dashboards, and tools.